Sure it has taken a little longer this year to taste the epitomy of summer, so it is difficult not to feel giddy when Joseph walks in the door with just off the vine (as in he helped pick them) tomatoes. 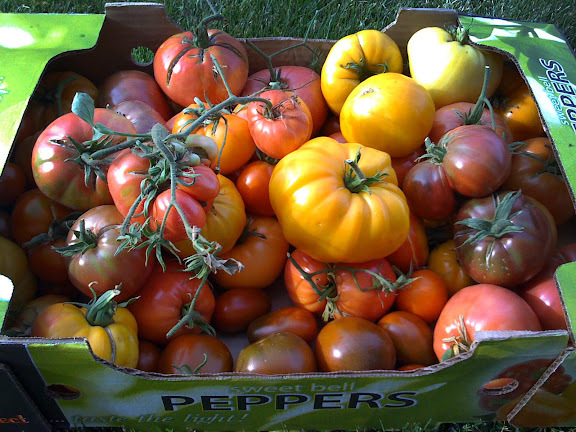 Our friends at Jacob’s Cove Farm are growing some of the best tomatoes I have ever seen. They are being grown biodynamically to boot(more on that later). One look at their farm and you know something special is going on there. Tomatoes, melons and cukes all growing vertically, reaching for the proverbial sky and looking good doing it. These beautiful tomatoes are starring nightly in a Caprese salad as well as a lovely Bruschetta with more to come as inspiration prods us. When you come and eat these beautiful plump vessels of stored sunlight and love, don’t feel bad for gushing over them. We’ll pretend we don’t see. 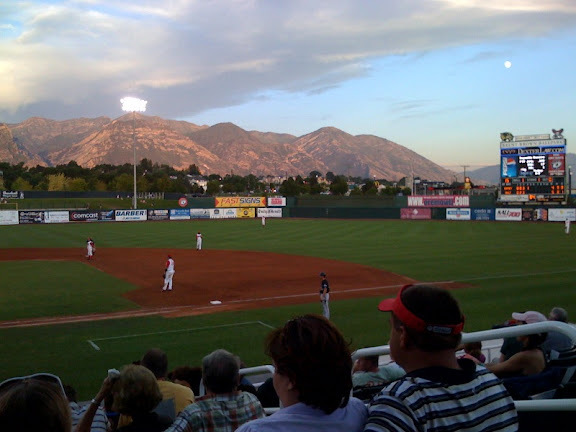 What you can’t see in this beautifully captured moment of Americana is the boys (and their wives) from P712 enjoying a soda and a dog at the local Owlz game. Next to enjoying wood fired pizza, this could be as good as it gets.